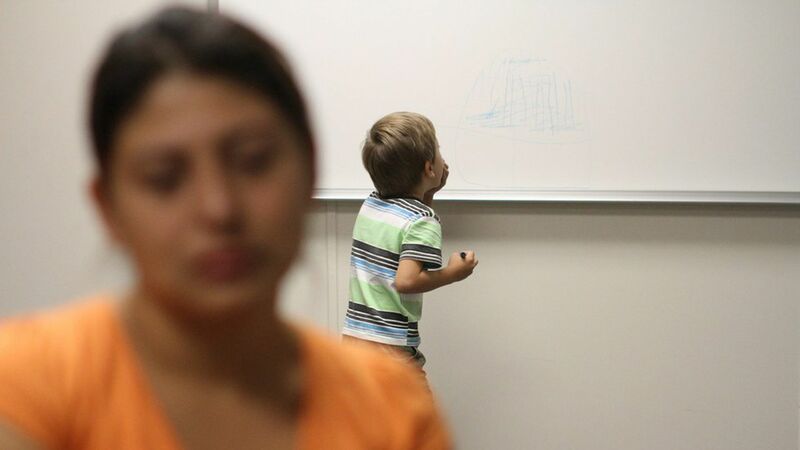 The mental health and wellbeing of children of unauthorized immigrant parents increases by as much as 50% when their mothers are protected and not threatened with deportation, new research shows. Why it matters: The study in the journal Science has important implications in the political debate in the Trump White House and Congress about whether to eliminate or expand the Deferred Action for Childhood Arrivals, or DACA program created by President Obama to protect children of illegal immigrants. DACA currently offers temporary protection from deportation to roughly 750,000 children brought to the U.S. as children. There are 11 million unauthorized immigrants in America who are also parents to 4 million children who are U.S. citizens by birth. How they did it: The researchers analyzed Medicaid claims data from Oregon, and matched that data with DACA eligibility among mothers on either side of a moment in time that identified them as legal or illegal immigrants. Immigrant mothers born after June 15, 1981, were granted status while those born before that date were not. What it showed: The data showed that changes in parents' immigration status substantially impacted the mental well-being of their children. Broadly speaking, children of mothers who were no longer threatened with deportation had far fewer mental health problems. Conversely, children of mothers who were uncertain of their deportation status were more likely to suffer from adjustment and anxiety disorders. For example, "...mothers' DACA eligibility reduced adjustment and anxiety disorder diagnoses in their children by 4.3 percentage points from a baseline rate of 7.9% among children of ineligible mothers at the threshold," the authors wrote. What's needed: The researchers say their approach using Medicaid records addresses the challenges of collecting data from unauthorized people and should be used in further studies in other states to fully assess the mental health impacts of immigration policies.